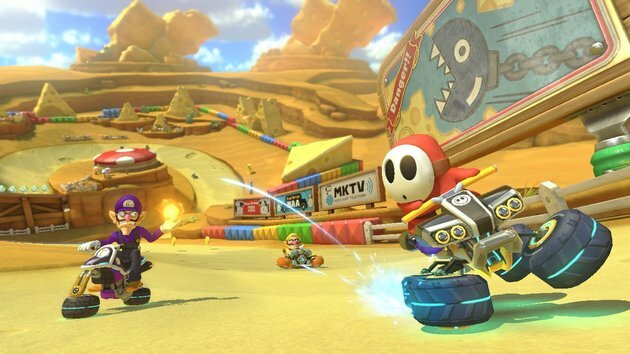 Feature: Our Top 5 Favorite DLC Courses of Mario Kart 8! It goes without saying that Nintendo has done an excellent job with the DLC in Mario Kart 8 as it oozes with quality and is quite affordable "especially the bundle with both DLC packs" but which courses do we feel deserve to be in this Top 5 list? Keep reading to find out! True to its name Cheese Land is a course made completely out of cheese! This course was originally released on Mario Kart: Super Circuit for the GBA and has been drastically updated in Mario Kart 8! Besides the graphical overhaul there are tons of changes to this impressive course. There are new shortcuts and craters that can be used for tricks all over the place. There are now hang-glider ramps and Chain Chomp hazards in the second half of the course as well! The music has been hilariously remixed with squeaking mice added in which will put a smile on your face! Sadly the Nomadi Mice from the original track that ate away at the course are no longer present, but overall Cheese Land is a fantastic course and that's why it's number 5 on our list! If you're looking for a challenge that will test your drifting skills to the max, look no further than Dragon Driftway! As its name suggests the course is packed full of twists and turns and is a paradise for karters who want to get the most out of their drift boosts. The course has various hazards such us missing railing, grass in the road that'll slow you down, and even a small section of the road is missing in one brief grassy turn near the finish line! This is a great course that requires serious skill to master, which is why it has made our pick for the 4th best DLC course in Mario Kart 8! 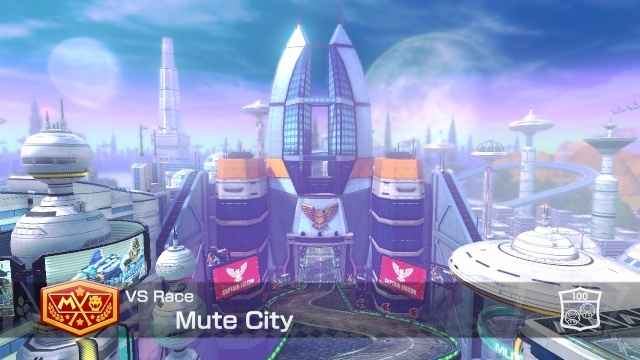 One of the highlights of the first download pack, Mute City is a high-speed course that is out of this world "literally". The course is based off of the course of the same name in the F-Zero series and is equally as good as well! The course has many speed boosts and corners that will provide even die-hard karters a serious challenge! You also can only earn coins from item boxes and the coin-strips in sections of the track. There is also an incredible shortcut near the end of the course that can cut 10-15 seconds off your lap, but it requires a mushroom or starman to get across. Overall this is a great crossover stage that any fan of F-Zero will thoroughly enjoy! That's why Mute City has made our list of best MK8 DLC courses! Number two on our list is none other than Hyrule Circuit a course that takes you across Hyrule Field and then into hyrule castle, and finally will twist through a small canyon before entering Hyrule Field once again! Enemies such as Keeses and Deku Baba's make an appearance on this superb course. Also coins have been cleverly changed into rupees for this course which is a nice touch. There is even a puzzle to solve in Hyrule Castle which if solved unlocks a shortcut! The music is one of the best aspects of the course. 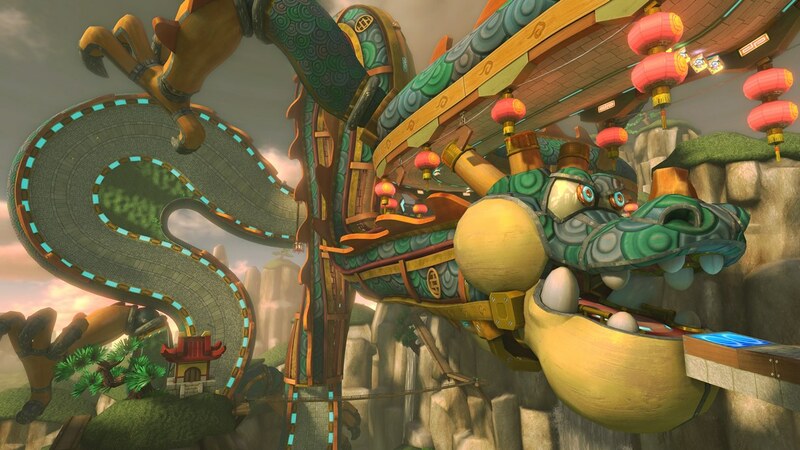 These reasons and more are why this course has made number two on our list of best DLC tracks in Mario Kart 8! 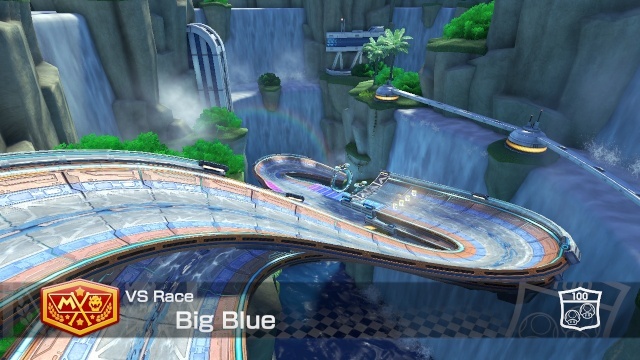 Our top pick for the best Mario Kart 8 DLC course is none other than Big Blue! Much like the F-Zero Mute City crossover course from DLC pack 1, Big Blue is a fast-paced track with many twists and turns. The coin panels from the Mute City track are back in this course. Another unique feature of this track are all of the conveyor belt sections which can really speed you up or slow you down depending on your skill of staying on the green section of the conveyor belts. Staying in the flowing water on the mid-section of the track is also key for getting good race times! The music in this course is also absolutely gorgeous and we'd say that this track might even be the most visually appealing course in the DLC packs! Overall this course is so fun and hectic that we absolutely had to name it our top pick in our Top 5 Mario Kart 8 DLC courses! What did you think of our choices in this Top 5 feature? Be sure to let us know in our comment section below! 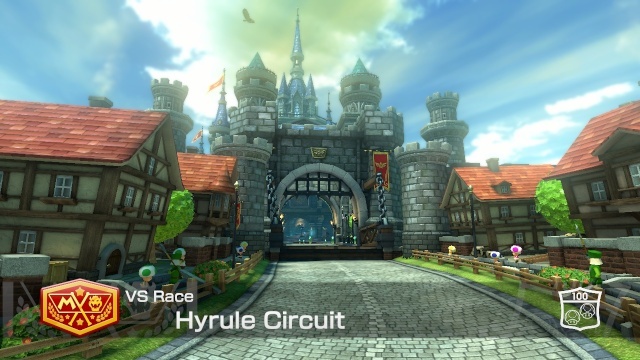 Re: Feature: Our Top 5 Favorite DLC Courses of Mario Kart 8! My favorite course is Animal Crossing. Awesome feature! Since everyone else is posting their favorites I will too! My top three dlc courses are Cheese Land, Animal Crossing, and Big Blue! Amazing feature! My favorite tracks are Cheese Land and Mute City!